신라 31대 신문왕(재위 681∼692)의 무덤이다. 신문왕은 문무왕의 아들로 귀족들의 반란을 진압한 후 신라 중대 전제왕권을 확고히 하였다. 국립교육기관인 국학을 설립하고, 지방통치를 위해 9주5소경제도를 설치하였고, 고구려·백제·말갈인을 포함시킨 중앙 군사조직인 9서당을 완성하는 등 중앙과 지방의 정치제도를 정비하여 전제왕권을 다졌다. 높이 7.6m, 지름 29.3m의 둥글게 흙을 쌓은 원형 봉토무덤이다. 둘레돌은 벽돌모양으로 다듬어 5단으로 쌓았고 44개의 삼각형 받침돌이 둘레돌을 튼튼하게 받치고 있다. 『삼국사기』에 의하면 낭산(狼山) 동쪽에 신문왕을 장사지냈다고 되어있어, 낭산 동쪽 황복사터 아래쪽 12지신상이 남아있는 무너진 왕릉을 신문왕 무덤으로 보는 견해도 있다. 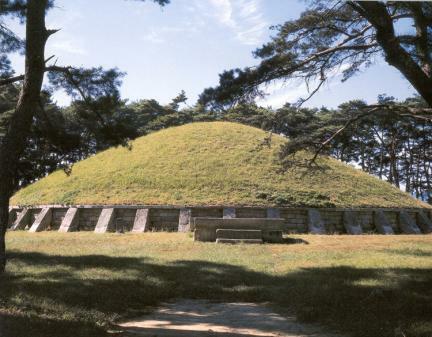 This is the tomb where King Sinmun, the 31st king of Silla, is buried. 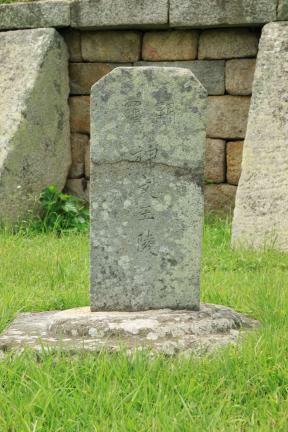 During his reign from 681 to 692, he, as the son of King Munmu, one of the highly respected kings of Silla, succeeded in strengthening the absolute monarch's authority with the successful oppression of the revolt initiated by the aristocracy. Another accomplishment of his is the establishment of the national educational institute. To govern the country, he improved the local administrative district and divided the entire state into 9 provinces. 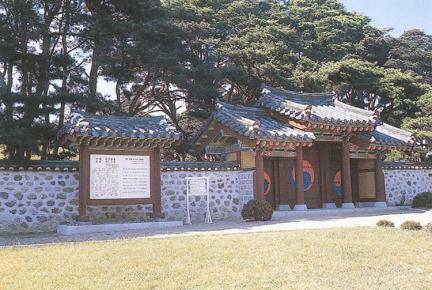 For the minor ethnic groups to be incorporated into the main group, he absorbed the minor groups -- such as those from Goguryeo, Baekje, and Malgal -- into the military. Overall, he made a distinctive accomplishment in establishing the absolute monarchy's authority. 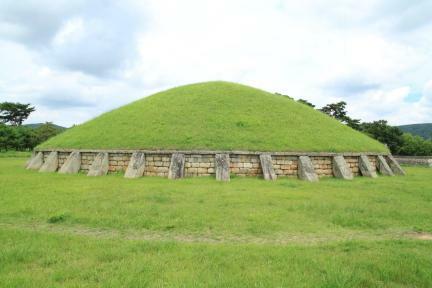 This is a circle ground mound with height of 7.6 m and diameter of 29.3 m. Stone circles placed in five layers like bricks and 44 triangular stays around the stone circle give the tomb a strong look. 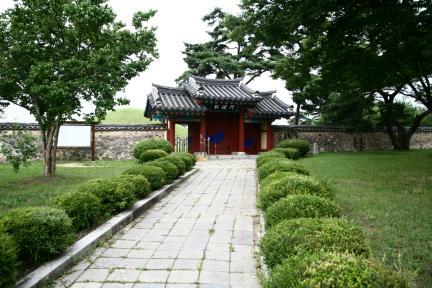 According to the history book Samguk sagi (History of the Three Kingdoms), the funeral for the king was performed on the east of Nangsan Mountain. 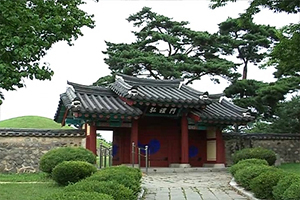 Therefore, some believe that another royal tomb where King Sinmun is actually buried is practically destroyed at the bottom of the ruins of Hwangboksa Temple, which has the images of the twelve zodiac animal deities.